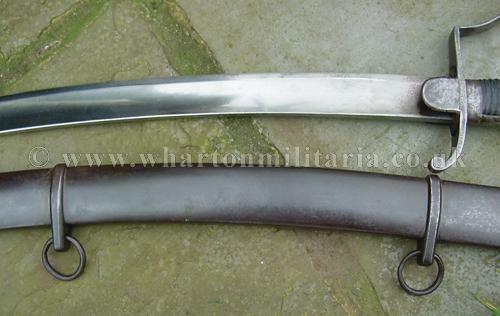 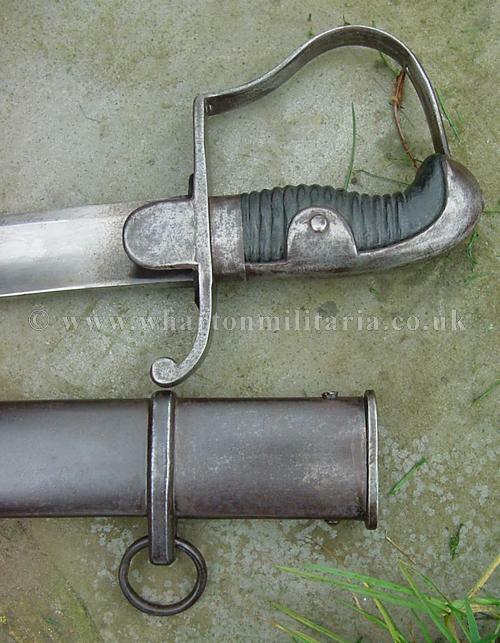 1796 Light cavalry troopers sword in excellent condition with iron stirrip hilt of characteristic form with knuckle bow and langets, nicely marked, some regimental markings on both the sword and scabbard. 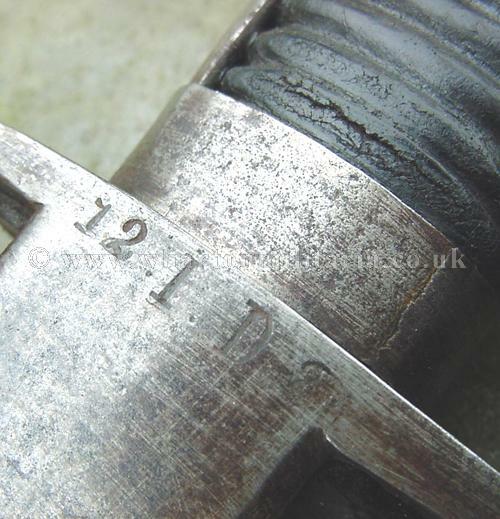 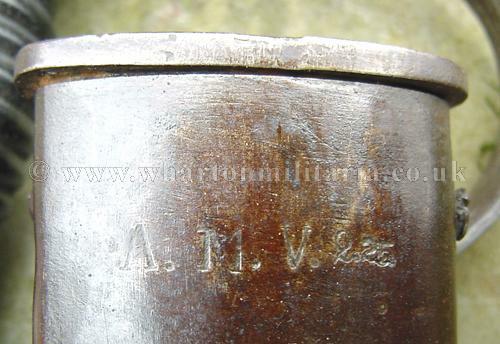 The knuckle bow underside is marked '1.22.L.R' along with crown and 19 with the langet being marked '12.I.P.2'. 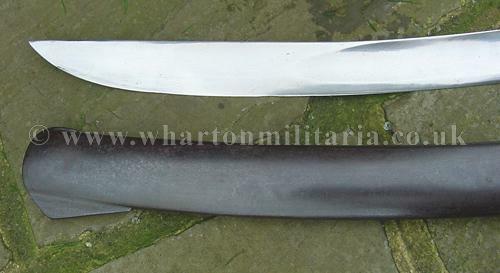 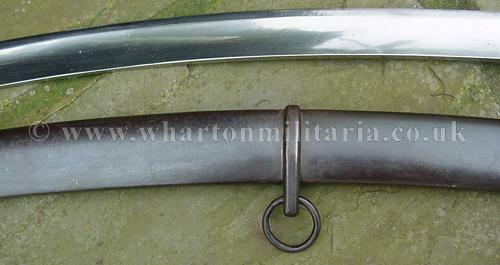 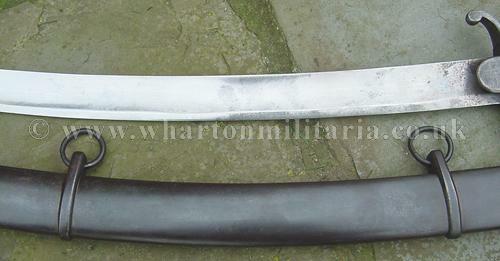 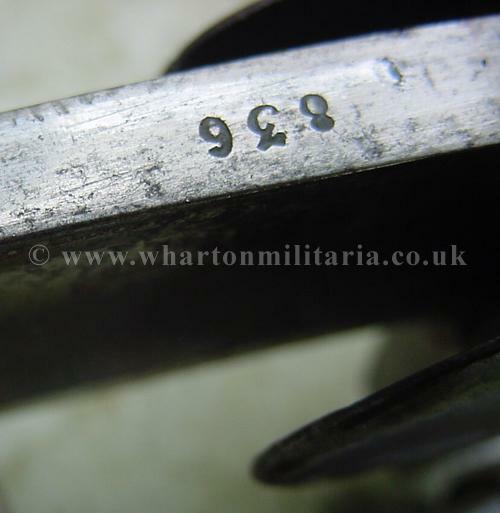 Blade is lovely condition and marked '836' on the ricasso, likewise the scabbard which is marked 'A.M.V. 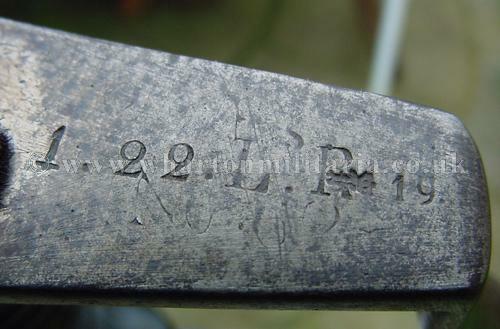 2.25'. 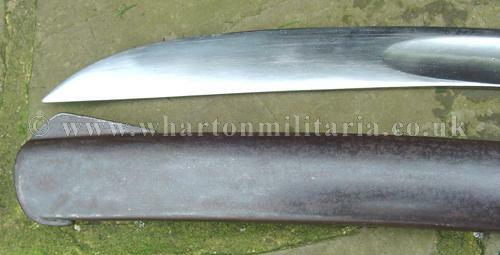 A fine example of the sword and becoming scarce. 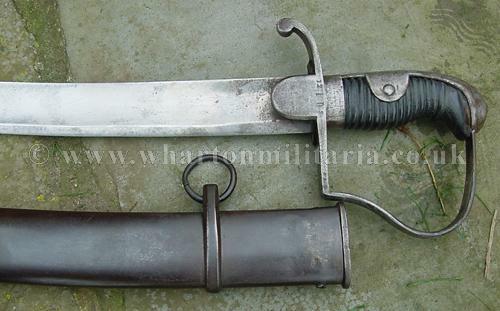 Nice sword.